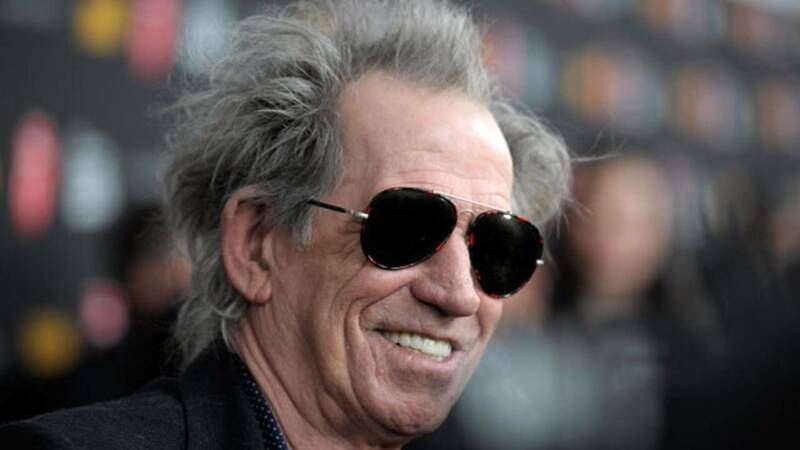 (CNN) - Throughout a long and storied career in one of the most famous rock bands on the planet, Keith Richards has made no secret of his love of drink and drugs. Yet it now appears that the 74-year-old Rolling Stones guitarist has turned over something of a new leaf. After decades of legendary hedonism Richards has all but given up on boozing, he revealed during an interview with music magazine Rolling Stone published on Wednesday. "It's been about a year now," Richards said. "I pulled the plug on it. I got fed up with it." Richards isn't entirely teetotal, enjoying "a glass of wine occasionally, and a beer," but this is still quite the change, given his famous penchant for outrageous benders. "It was time to quit," Richards said. "Just like all the other stuff." Representatives for neither Richards nor the Rolling Stones have so far responded to CNN's requests for comment. Bandmate Ronnie Wood, 71, has been sober since 2010, according to the UK's Press Association, and he told Rolling Stone that he has noticed a difference in Richards. "He's a pleasure to work with," Wood says. "Much more mellow. He's open to more ideas, whereas before I'd kind of grit my teeth and go, 'He's gonna give me some s**t for saying this.' Now, he'll say, 'That's cool, man.'" And the new regime has been good for the music, according to Richards. "It was interesting to play sober," he said. "We're weaving (guitar parts) a lot more conscientiously now. We're much more aware of the gaps and the spaces between. We're in our seventies, but we're still rocking like we're 40-year-olds, you know?" added Wood. After decades as one of the most recognizable names in music, the Rolling Stones are still going strong. They have been nominated for 12 Grammy Awards, winning three, and recently announced a 2019 US tour that will start on April 20 in Miami, according to the band's website. However the group will not be returning to Atlantic City, where a 1989 gig led to bad blood with now US President Donald Trump that lasts to this day. Richards told the BBC that Trump was their promoter for the show, and he recalled going red with anger when the future President's name took top billing for their show as "Donald Trump presents the Rolling Stones." "I got out my trusty blade, stuck it in the table and said: 'You have to get rid of this man,'" Richards said. The feud continued to simmer when the Rolling Stones song "You Can't Always Get What You Want" became a staple at Trump rallies, prompting the band to say they had not given Trump permission to use the song and asking the campaign to stop playing it.